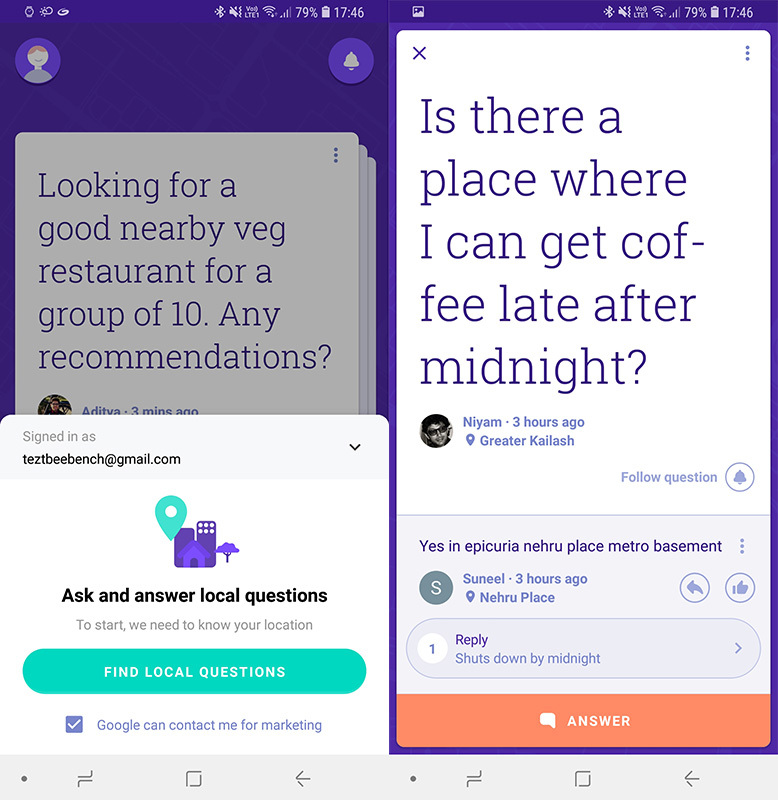 Back in May, Google announced its app Neighbourly using which people could ask questions only relevant to their neighborhood. It is like Quora but relevant only to geographical location – or perhaps, Google’s answer to Facebook’s Nearby feature. From asking about the best eatery in your area, to the most learned tutors for your children, to some the best salons in your area, Neighbourly can be used to seek answers for virtually anything. Further, the app also lets you answer questions that other people in your areas have asked, and even become a local expert by answering as many queries as possible. 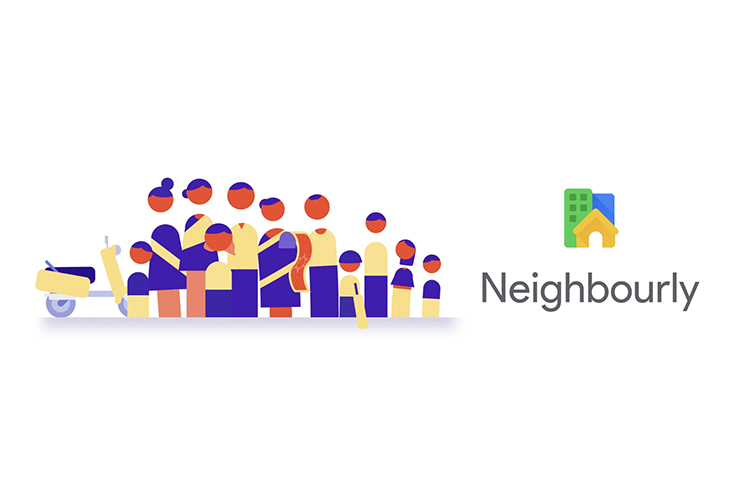 Google’s Neighbourly app was available only in Mumbai at the time of the launch – with Jaipur joining in soon after, and was later extended to Ahmedabad, Coimbatore, Kota, Mysore, and Visakhapatnam in its second trial phase in September. Now, the app is also available in Delhi and Bengaluru. The setup process is reasonably easy and with a couple of steps, exclusive of granting the app access to your storage and contacts, you can see questions asked by people in your close vicinity – which Google has set to a few kilometers, as per Ben Fohner, Senior Product Manager, Google’s Next Billion Users camp – although the most happening region is within the first kilometer. “In our research, we’ve found that most of life happens within a 1 km radius of where you live. We also found that when finding local information, people prefer to ask or discuss with another person“, Fohner wrote. We tried the app and first of all, I really like the card-based interface. You can simply tap the “Answer” button to add your responses. 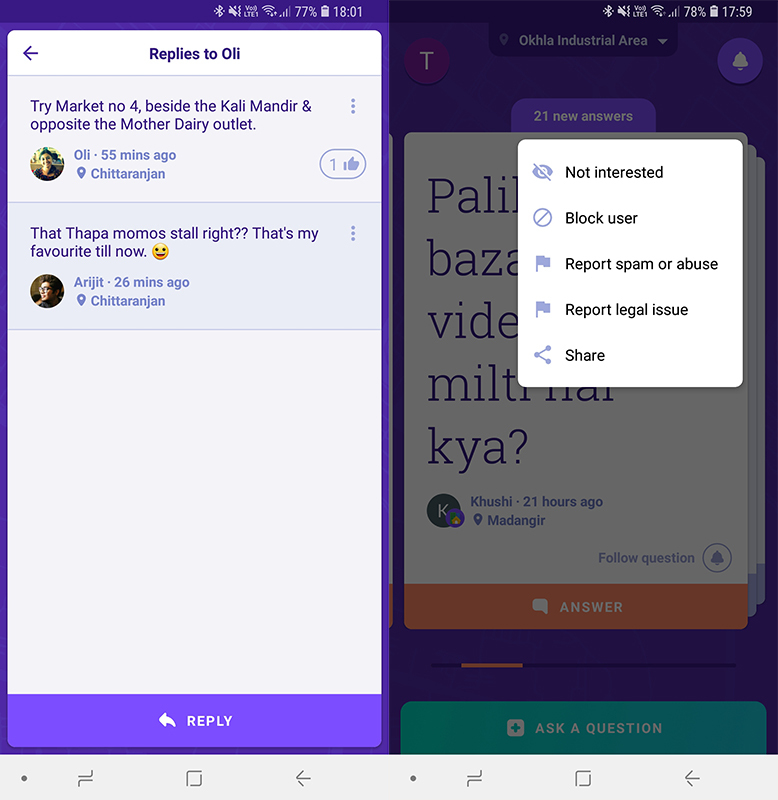 Besides directly replying to the person asking questions, you can add replies to existing answers. You can also like the responses you agree with or find useful and report the ones which you might inappropriate. Further, you can tap on “Ask a Question” to add a question. You can also use voice control to ask questions and reply to the answers. With each helpful response, you’ll earn medals and while the outcome of this is unconfirmed, Google might reward users in the similar fashion as the Local Guides program in Google Maps. Lastly, you can also add multiple localities but it will only on the basis of your GPS location. The app is expected to have a wider rollout soon, and be available in major cities across India. You can start helping fellow seekers by downloading the Neighbourly app from the Google Play Store (free).